Posted on 16, December 2015 by EuropaWire PR Editors | This entry was posted in Defence, Spain, Transportation & Logistics and tagged ASC, Australian shipbuilder, Navantia. Bookmark the permalink. MADRID, 16-12-2015 — /EuropaWire/ — Navantia has signed a contract with Australian shipbuilder ASC for providing management services to AWD program. 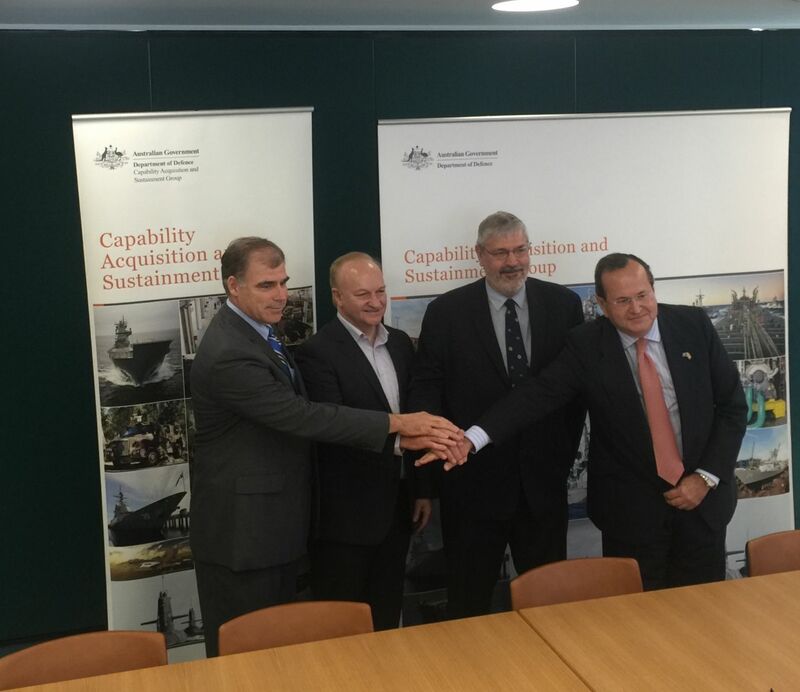 The signing took place in Sydney with the attendance of representatives of the Commonwealth, ASC and Raytheon, as well as the President of Navantia, José Manuel Revuelta and the Vicepresident of Navantia Australia Pty, Francisco Barón. Navantia has been working in three important programs for the ADF since 2007, namely the Air Warfare Destroyers (AWDs), Landing Helicopter Docks (LHDs), and the LHD Landing Craft (LLC), under different contractual schemes to deliver to the best of its ability. ASC has signed a contract with Navantia whereby Navantia will provide the Shipbuilding Management Services (SMS) for the AWD Program. This contract is part of the AWD Reform Strategy commenced by the Government in 2014. Navantia will bring it significant experience in AWDs to support ASC in building the AWDs. Navantia is fully committed in delivering this key capability to the Royal Australian Navy, as it has already done with the two LHDs, HMAS CANBERRA and HMAS ADELAIDE, this last unit being commissioned into the RAN on the 4th of December. Navantia has a significant capability in Australia which jointly with the company’s Technical Operation Centre, also located in Adelaide, will be a valuable asset for future shipbuilding activities in Australia, providing the required expertise to face the future projects. Navantia is fully committed to Australia and will contribute to naval projects as far as possible within its proven capacity and ability to supply. Navantia looks forward to working with the Commonwealth and industry even more closely than before, to achieving the program goals that we totally share.